Foundations: Service-oriented Societies. Basic Principles of Services. Services and Goods. Service Research: Advanced Topics. Service Network Analysis. Service Level Engineering. The textbook has been published by Springer. You can get a first impression via GoogleBooks or further information at the official Springer Website. Expect views at service systems from an economical and from an information technology perspective. 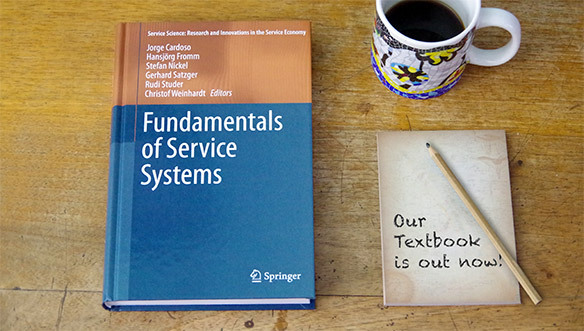 The textbook contains a foreword by Jim Spohrer, Director of IBM Global University Programs and driving advocate of the Service Science, Management and Engineering (SSME) initiative. It covers aspects of the entire service lifecycle: from innovation to design, pricing, analytics, and optimization.